Earlier this week, Joseph N. DiStefano of Philly.com reported that the University of Pennsylvania filed suit in federal district court to protect its well-known federally-registered rights in the WHARTON name and mark. (Hat tip to guest blogger Dave Taylor of Taylor Brand Group). For those who have not been paying attention to business for the past 132 years, The Wharton School is the world’s first collegiate business school, established in 1881, as part of the University of Pennsylvania. It has a remarkable reputation as one of the top business schools in the country. 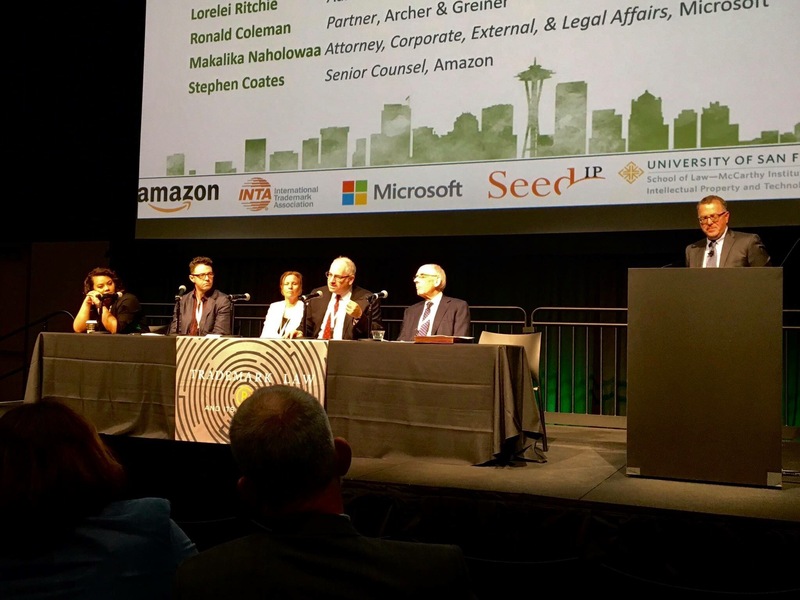 It has one of the most published faculties and one of the largest and most influential alumni networks. And, we know how smart Wharton students are, as one of our talented guest bloggers,Nick Olson, is a UPenn law student who will graduate in 2014 with a J.D. and a Certificate in Business from the Wharton School. Remember his insightful blog posts on IP Valuation and Poetry in Slogans? Not surprisingly, the lawsuit asserts pretty standard claims for federal trademark infringement, federal unfair competition, federal trademark dilution (blurring and tarnishment), federal cybersquatting (for registration in September 2012 and use of www.whartonadvisorscorp.com), Pennsylvania statutory unfair competition, and Pennsylvania common law unjust enrichment, against a financial consulting firm in New Jersey called Wharton Advisors Corp. Here is a copy of the complaint and exhibits. The University of Pennsylvania’s Wharton School further complains that the defendant has filed for federal registration of the claimed mark WHARTON ADVISORS CORP . . . . The untold irony, however, is that the application will most likely not survive examination, and most likely will never be published for opposition, not because of the University of Pennsylvania’s federally-registered rights in WHARTON, but because of a third party’s 1998 federally-registered rights in another WHARTON mark, namely, WHARTON CAPITAL for investment banking services apparently offered since 1977. The WHARTON CAPITAL registration has been incontestable for a decade now, so I suspect Wharton Advisors Corp may argue that this registration and the associated use of the Wharton Capital name and mark has a necessarily narrowing effect on the University of Pennsylvania’s scope of rights in WHARTON, at least when it comes to being able to reach those who provide financial services, as opposed to educational services. In fact, the USPTO initially has refused registration of WHARTON ADVISORS CORP under Section 2(d) of the Lanham Act, based on a perceived likelihood of confusion with the WHARTON CAPITAL mark — none of the University’s WHARTON marks were cited as potential bars to registration. This is not only a great pickup by Steve, but it reminds me of some stuff, in two general categories. The first one is the branding of small financial institutions — all these “advisors” and “groups” and “capitals.” Of course, even banks use more luvvy-wuvvy names than they used to, along with their cynically posturing ads featuring perfectly-calculated ethnically blended models with great teeth and one adorable child saving for his future… Harvard tuition, of course. Hah! What happened to real bank names? Remember the old Steve Martin bit? Okay, but anyway, now I’m talking about outfits such as in this Wharton case — hedge funds, or less snazzy investment companies, or even sometimes just insurance brokerages that want to fancy-up their branding by using a word associated with prestige, or old money, or stability. So they like to use names of Ivy League colleges, or, as in the case of WHARTON, their affiliates and the like, and other allusions to WASP-iness or old-money-ness with even gauzier allusions to European (western, that is) stuff. I know this because I have been involved in helping such “groups” and “advisors” select and register names along these lines. The hard part there is actually finding ones that aren’t already taken. “Can we do Prestigia Ivy Luxe Capital instead of Prestigia Ivy Luxe Partners then?” I also know this because sometimes … other stuff happens. As I discuss in more detail here. Let’s move on from that, for now. Princeton’s registered trademarks include the names “PRINCETON UNIVERSITY”, PRINCETON, the “Dei Sub Numine Viget” Shield, the 250th Anniversary logo and the “Clio Tiger” design. Other marks include variations on the above marks, tigers, the block “P”, buildings, such as Nassau Hall, and any other mark associated with the University. An “®” indication must appear on all products bearing Princeton’s registered marks and a “TM” on products containing any of Princeton’s marks that are not yet registered. . . . The legal and illegal use of Princeton’s trademarks throughout the world is monitored by an international trademark watch service. On the domestic front, staff from Trademark Licensing make regular visits to local retailers to ensure that only officially licensed merchandise is being sold. 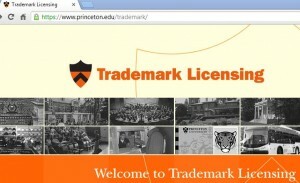 Trademark licensees, retailers, as well as Princeton students and alumni, also serve as a network for identifying unlicensed merchandise. The defendant, Yale Academy, with locations in New Jersey, Pennsylvania and Delaware, can make no such exalted claims — at least not yet. It has only been in operation since 1995. Nonetheless, “It has been known as the best preparation school for college entrance exams,” its Web site says, without specifying quite who has known it that way. . . Similarly Harvard University “actively protects its name and trademarks from unauthorized use around the world, especially in those areas most important to, and most identifiable with, Harvard, such as education research,” according to Kevin Galvin, a spokesman. Harvard Maintenance, which offers cleaning services for commercial real estate, is apparently in the clear. But Harvard Academy, in Korea, and the Harvard International School of Management, in India, both got cease-and-desist letters (and have both since changed their names). But place names cannot be trademarked [sic], and in the case of universities like Princeton that share the name of the town where they are, the distinction can be hard to make. Thus, among many other examples of businesses not connected to the university are the Princeton House condominium, Princeton Laundry and the Princeton Architectural Press. Good for Wharton, snagging what it can on this; as Steve points out, and the Times article about the Yale trademark case does too, even schools without place names can’t always get what they want in terms of grabbing brand equity rent. It’s a different game from the one played by the big boys, of course — but either way, isn’t that what the pursuit of knowledge is all about? * No, I did not write this whole post just so I could embarrass Yale by linking to that opinion. But only because I did not think of doing so at the outset.